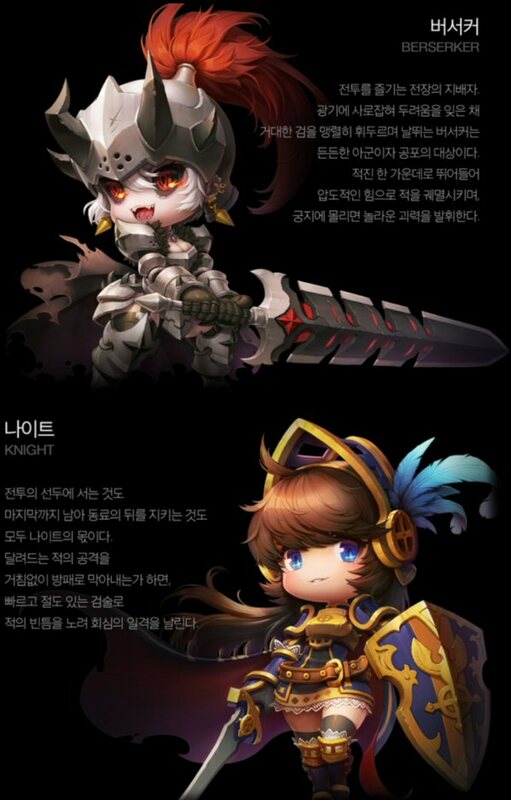 Nsquare, the studio composed of both NCsoft and Nexon staff just revealed the two first classes of the upcoming and highly anticipated MapleStory 2 game. The official site now shows the Knight and the Berserker, which you can also see below. A few months ago we received the first MapleStory 2 trailer, a beautiful cinematic. MapleStory 2 is a 3D MMORPG in isometric view and will be set before the original MapleStory. Although it features many familiar monsters it will have a new gameplay and world.